Home / Resources / How does it work? 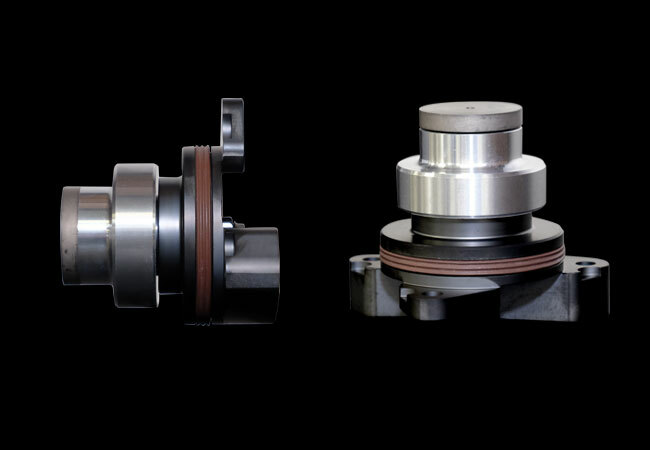 The IMS Solution, co-invented & developed by Flat 6 Innovations and LN Engineering, for IMS Solution LLC offers a permanent IMS bearing replacement for the M96 and M97 engine. The IMS Solution replaces the problematic single row ball bearing found in model year 2000 through 2005 engines and dual row found in 1997-2001 model year engines with a plain bearing designed to last the lifetime of your engine. Simply put, The IMS Solution by design works like the rod and main bearings in your engine. By replacing the factory sealed ball bearing with a pressure fed oil-lubricated plain bearing, the IMS Solution eliminates potential damaged caused by foreign object debris, eliminating 11 wear components from the assembly. This simplified design eliminates engine-wide collateral damage from ball-bearing debris as well as by preventing damage from a loss of proper valve timing when the factory ball bearing fails. The IMS Solution provides a larger bearing surface area and uses forced oiling as well, but eliminates the problematic ball bearing by using a simpler plain bearing. Orifice size as well as oil source for lubrication of the IMS Solution has been engineered to ensure optimal operation while not causing side-effects from pressure losses, oil foaming, and crankcase windage that oil feeding a ball bearing could cause. No more difficult to install than an IMS Retrofit, the patent pending IMS Solution utilizes a spin-on oil filter adapter to provide clean, filtered, and pressurized oil to the IMS Solution’s plain bearing through a specially designed IMS bearing flange assembly. Save time and money with IMS Solution – the one and only permanent solution to costly IMS bearing failures.